Specialist wedding zaffa band for hire. Specifically designed to accompany the bride and groom's entrance to their wedding reception, featuring Zourna and drums. 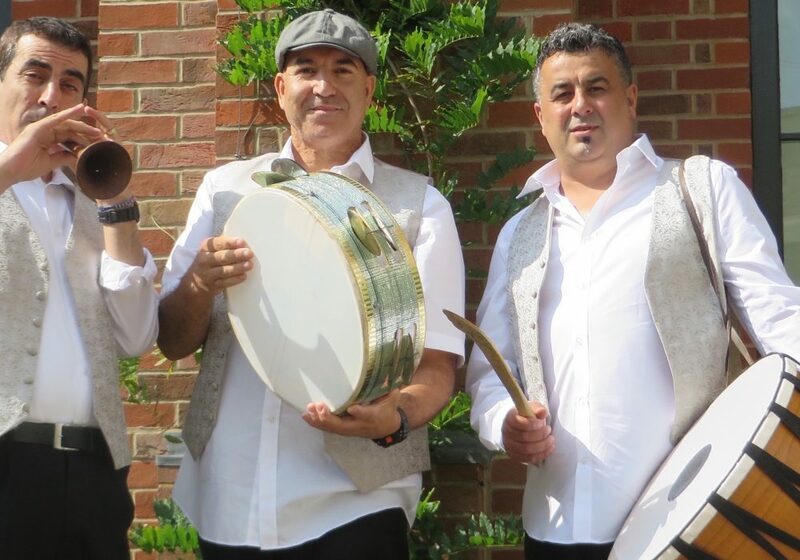 Takaleed Wedding Zaffa Band is an ensemble led by master drummer, singer and multi-instrumentalist Abdelkader Saadoun, and features some of the most talented musicians from the Arabic world. Abdelkader Saadoun comes from Algeria where he learnt to play Rai, the country’s native music. Saadoun brought Rai to the UK in 1988, and most recently formed Takaleed to showcase traditional Arabic music. 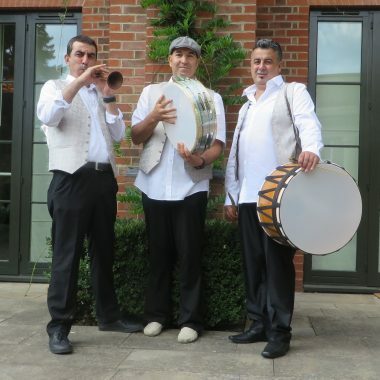 The specialist Wedding Zaffa Band is specifically designed to accompany the bride and groom’s entrance to their wedding reception, and can feature Zourna, the traditional wind instrument, in addition to drums. 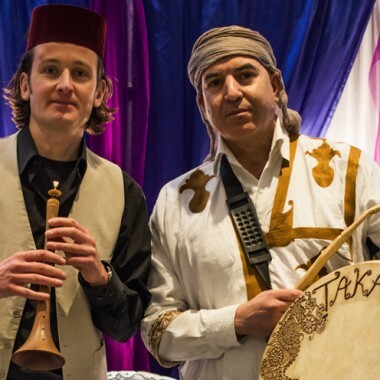 The band consists of two performers upwards who play traditional North African percussion instruments including hadjoudj, bendir, derbouka, tambourine and djembe. They are a charismatic ensemble, who enliven audiences with their infectious rhythms and dynamic stage personality. The band can also perform on stringed instruments such as mandole and oud, when they are a larger ensemble.